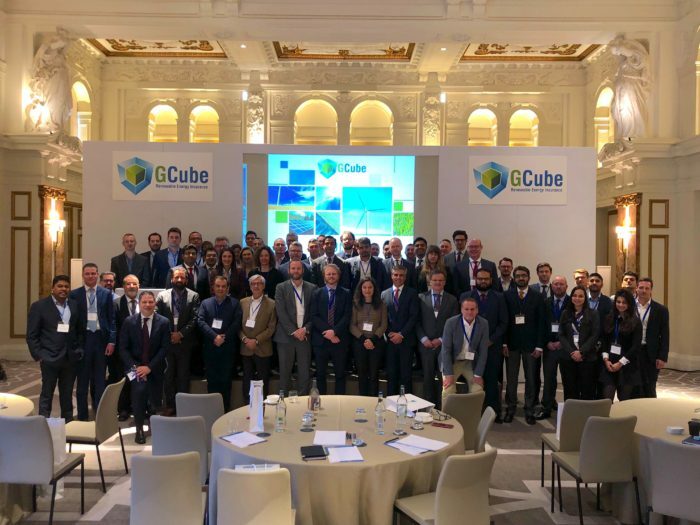 GCube held its Onshore Wind Risk Seminar in London on 26th February. 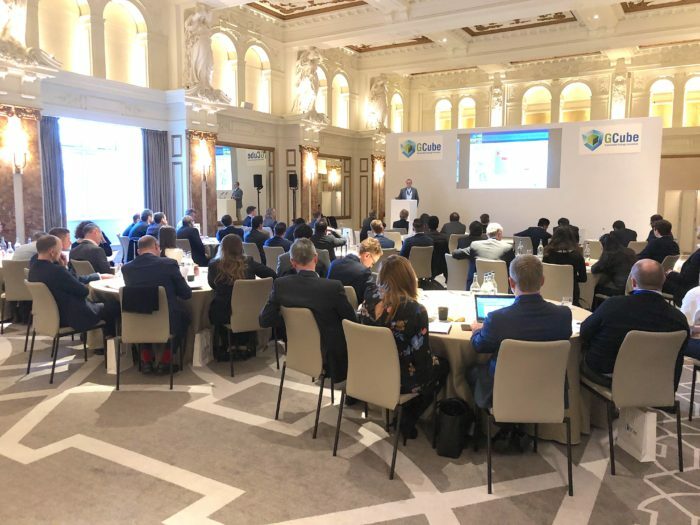 The event saw a series of presentations on topics such as data access restriction, asset maintenance for risk management, repowering, and the growing cyber threat. 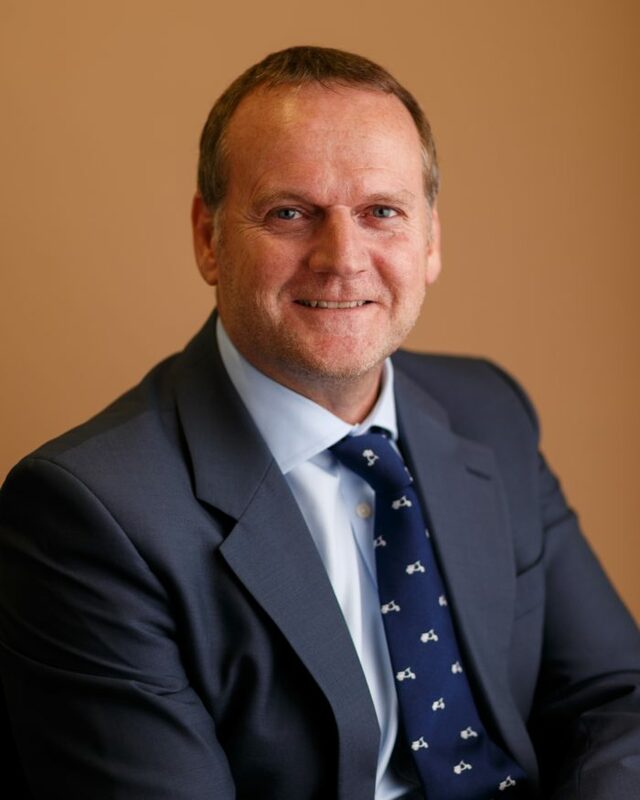 We speak to GCube Chief Underwriting Officer Stuart Burchell about the key talking points to come out of the seminar. A perennial debate in wind energy centres on what to do with aging assets. Is repowering the best way to optimise returns? The European wind fleet is growing, with up to 400GW set to be installed by the end of 2030. Simultaneously a large volume of assets is nearing the end of its operational lifetime – and many our clients are considering how they can best optimise the returns of their aging assets. We were pleased to have Alon Carmel, Senior Director of FTI Consulting presenting at the seminar on energy transition investment strategies, including power price risk, corporate PPAs and repowering. When looking at repowering strategies, there are a number of key project-level decisions to make such as whether to sell or decommission at the final operation stage, how asset life is best extended and what retrofitting or technical upgrades are necessary, before a full repower is even considered. From a CAPEX point of view, repowering is on par with the cost of a new build, reaching up to £1,200 per MW. Whereas, from an OPEX point of view, costs decrease per MW due to increasing capacity. This is driven among other factors by new technology, contract renegotiation and competition from ISPs. These financial considerations are key in the repowering versus life extension debate as the market continues its pursuit of a lower levelized cost of energy (LCoE). How is technology in the market responding to the need for lower LCoE? Ultimately, the European onshore market requires turbines with a LCoE which is under €30/MWh, and this demand has motivated OEMs to develop larger turbines – but innovative technology is needed to support this movement, and it’s essential that equipment risks are mitigated as technology increases in scale. At the onshore wind risk seminar, GE Renewable Energy’s Product Line Leader Manish Hatwar presented on the shift to larger and larger turbines, looking specifically at proven blade technology for turbine reliability, highlighting that innovations such as split blade technology are helping to support continuing reductions in LCoE. The insurance market will be watching with interest as GE rolls out its latest product line! How are attitudes changing towards turbine maintenance and its role in managing onshore wind risk? Across our client base, we are increasingly seeing the adoption of strategies such as predictive maintenance as asset owners take their risk management responsibilities more and more seriously. This not only keeps insurers happy, but also supports lifetime extension for assets. Over the last 5 years, the perception of maintenance has shifted from ‘expense’ to ‘long-term investment’. The market has seen a real ‘pendulum swing’ in attitude, shifting from a cost focus to a value focus. We were pleased to have Rui Maia, Chief Operating Officer of Iberwind presenting at the seminar on the evolution of asset management. In his presentation, Rui detailed how aging turbines are forcing asset owners to change their perception of turbine maintenance. To begin with, repairs were reactive, with components being fixed when they break, and with this came issues with maintenance management systems. In more recent years, there has been an increased focus on lifecycle and reliability and, with this, better decision making around the life extension of assets. How can a data-driven maintenance strategy increase power production and mitigate risks? As I’ve mentioned, more and more our clients are seeing that making an upfront investment in a data-driven maintenance strategy can result in real long-term financial returns. First, however, turbine owners have to be able to access the performance data they need to bring down operational costs and reduce unplanned maintenance. In his presentation on improved data access, Robin Elliot, ONYX InSight’s Senior Consulting Engineer, highlighted that by implementing a data driven strategy, asset owners can improve their spares management systems, improve diagnostic processes, and ultimately benefit from reduced downtime and increased revenue. What does cyber risk look like in onshore wind today? Of course, increased reliance on data creates its own challenges, including risk of cyber-attack, which can lead to significant productivity and revenue losses for wind asset owners. The biggest cyber hack in history, back in 2012, left Saudi Aramco using typewriters and fax machines for 5 hours. 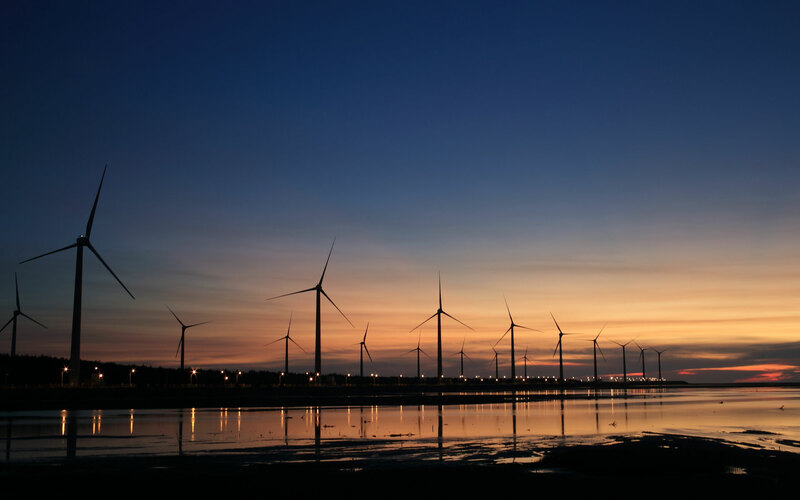 More recently, the impact of cyber-attack on wind turbine power production was demonstrated by the hacking of 2000 turbines by the University of Tulsa in an experiment in 2017. Geoffrey Taunton-Collins, GCube’s Senior Analyst presented at the seminar on how wind energy asset owners can mitigate a growing cyber threat. Renewable energy asset owners are at risk of cyber-attack either via security breach by an unauthorised non-employee, for example a hacker, or administrative error where an employee uses digital assets or computer systems incorrectly. Power failure also leaves wind farms vulnerable – so it is important that the industry safeguards itself against ‘non-damage’ attacks that prevent export to the grid. Stepping away from digital and towards physical risk management, what are the key considerations involved in project cargo risk management and how does this evolve throughout a project’s lifecycle? Throughout a project’s lifetime, what constitutes ‘critical’ cargo changes. It’s important that asset owners closely monitor this and have contingency plans in place. We were pleased to have CSL’s Gino Covello attending the seminar to present on the risks and mitigation methods involved in cargo management. Gino explained that understanding critical equipment is a vital consideration in cargo management for onshore wind projects. Alongside this, elements such as port conditions and infrastructure, as well as cargo handling and storage capabilities, are equally important. With aging fleets and evolving attitudes, what can asset owners do to ensure favourable premium pricing? There are a number of ways in which owners can get the most value out of their portfolios, including financial, commercial, technical and performance considerations. On the financial side, value can be created by investing in exactly the insurance you need and making your risk as attractive as possible by spreading it across a number of projects and regions. Transferring risk to the most appropriate party, such as via O&M arrangements and condition monitoring will also allow owners to get the most value out of their asset insurance. Looking at who the most appropriate party is to take on specific risks, rather than including all parties under one policy, is another method of ensuring you get a fair insurance price. Roy Muñoz, GCube’s Global Head of Claims highlighted at the seminar that cheap rates aren’t necessarily a reflection of the value of your insurance product. However when rates are pushed down, the market can become extremely – and unsustainably – competitive. GCube will be holding its Offshore Wind Risk Seminar in London on Tuesday 24th September. 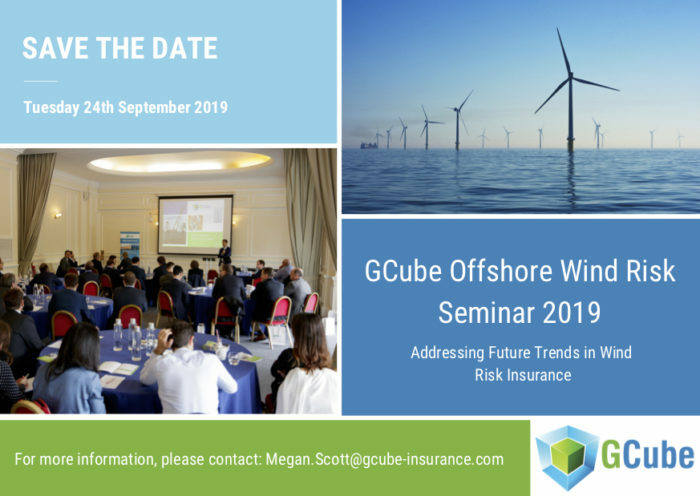 For further information about our risk seminars, and to register your interest in advance please email megan.scott@gcube-insurance.com or visit our events page.